As a 72-hour humanitarian cease-fire continues to hold between Israel and Hamas in Gaza, the world looks to the early stages of peace talks in Cairo. An Israeli delegation arrived Tuesday evening in Cairo for negotiations, two senior Egyptian government officials told CNN. Palestinians and Israelis will talk first about ending the current conflict, and then can focus on conditions for a lasting truce. 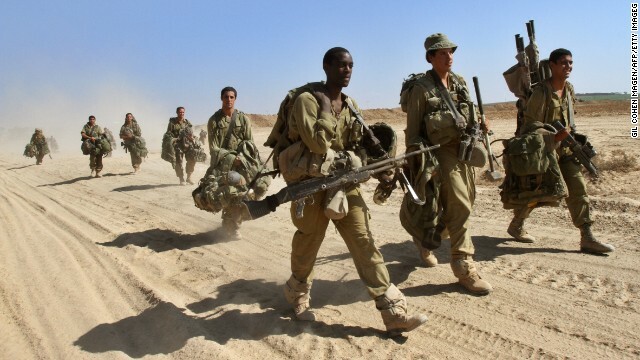 Israeli soldiers walk back across the border from Gaza. A new cease-fire began today. A three-day cease-fire begins between Israel and Hamas. Another American with Ebola is being brought back to the United States. And a nationwide fruit recall expands.